In the book of the prophet Isaiah, there are four passages that speak of a suffering servant (42:1-4; 49:1-6; 50:4-9; 52:13-53:12). Who Isaiah had in mind in these passages is unclear, but the Church has always seen in these passages references to the redemptive suffering of Jesus. Jesus himself would have known them well and likely found guidance in his ministry from them. Today’s reading is one of these passages. The Lord GOD has given me the tongue of a teacher, that I may know how to sustain the weary with a word. Morning by morning he wakens — wakens my ear to listen as those who are taught. The Lord GOD helps me; therefore I have not been disgraced; therefore I have set my face like flint, and I know that I shall not be put to shame; he who vindicates me is near. Who will contend with me? Let us stand up together. Who are my adversaries? Let them confront me. The “suffering servant” is a teacher who, having listened to the voice of God, has received the capacity “to sustain the weary with a word.” He is also one who suffers unjustly in a manner akin to what Jesus suffered following his arrest. He is innocent, yet he accepts his fate with serenity without launching a violent counter-attack, immune from the shame and guilt his adversaries intend to put on him. I am reminded of Nelson Mandela who spent 27 years in captivity for his active resistance to the evil of apartheid. The first 18 of these were especially harsh, compelled to labor in a rock quarry. It is easy to imagine a person coming through such an experience with their heart poisoned with bitterness and a desire to unleash violence. But clearly Mandela made space for God to work within his heart during his time of confinement. An inner freedom was cultivated in the prisoner that astonished his captors. He emerged from prison free from the compulsion to seek revenge. 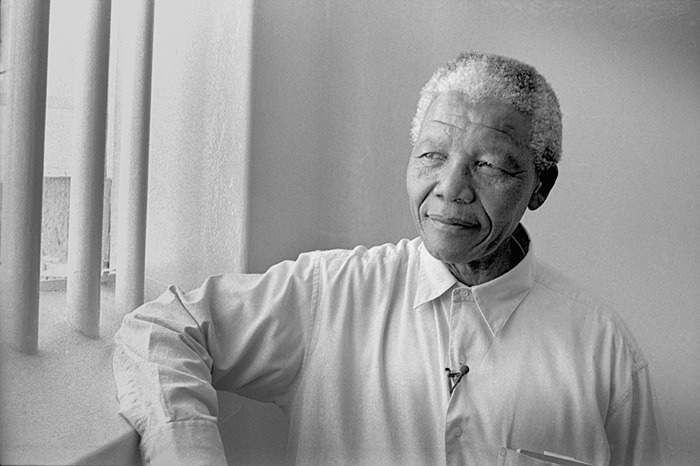 In a land weary of brutality, Mandela came forth as one who could lead the way towards national reconciliation. When we find ourselves compelled to suffer unjustly, we too are invited to listen for the voice of God that would awaken us to a greater internal freedom. Rather than descend into bitterness, or to feed the fires of retribution, we can rest in the knowledge that our vindicator is more near than breath itself. Refusing to take on the shame-wounds of our adversary, we can engage in the noble calling of peace-making.